The compact C-Max remains popular with drivers who prefer smaller vehicles. The car is easy to handle and fun to drive. The interior is comfortable and has more cargo space compared to similar-sized vehicles. 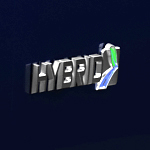 The hybrid also offers great fuel economy. See the C-Max at our Ford sales location and go for a test drive. Add a little bit of luxury by opting for the Titanium model. The elegant interior features leather heated seats and a synced infotainment system. The system is intuitive and user-friendly. Even standard models come with additional safety technological features. Back up without fearing a possible collision thanks to the rear parking sensors. The technology functions whether backing out of a parking space or when parallel parking. The self-parking technology takes the stress out of the chore, as it guides drivers quickly into the correct position. Drivers receive an alert when another vehicle enters the blind-spot zone.